The Fraunhofer Institute for Digital Media Technology (IDMT) – which focuses on applied research in the field of audiovisual media – has invested in a brand new range of Powersoft Ottocanali 4k4 DSP+D amplifier platforms for its Ilmenau headquarters. 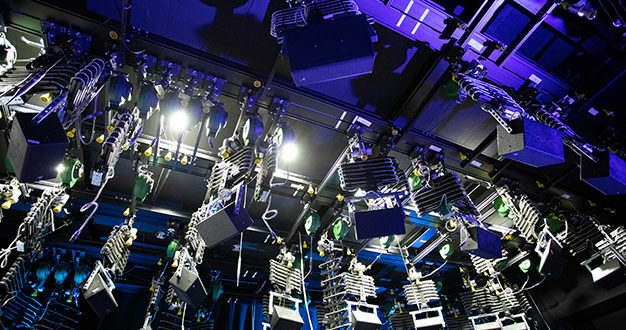 A total of 29 Ottocanali 4k4 DSP+D amplifiers were required to meet the institute’s grand aspirations, with 16 of those units being installed in the building’s 3D Presentation Room alone. Rodigast continued: “The amplifiers’ Dante capabilities make the system very flexible, which is ideal when using different speaker setups in the room. It is also easy to use the Dante metrics – we often have projects with students who are not used to the system but it’s easy to explain to them how it works. Flexibility is so important as we have different hardware and software all the time. It’s good for us to have a reliable audio network where we can work quickly and easily switch channels. 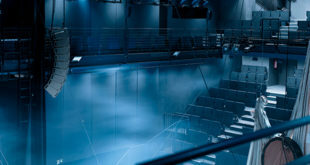 The studio itself houses more Powersoft amplifier platforms, as well as computers, digital/analogue converters and the playback system. 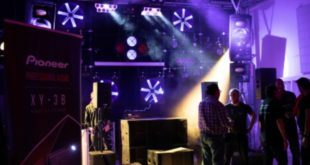 “We go directly from the PC to the amps via Dante and from there we go direct to the loudspeakers in the 3D room,” Rodigast said. Aside from these rooms, there is also a full anechoic chamber at Fraunhofer IDMT’s HQ, which is one of the biggest in Germany at 10m x 9m x 8m. The room is capable of accommodating 60Hz and allows the team to conduct very precise measurements in low frequencies, which is very important for the improvement of sound reinforcement systems. One of the principles explored in depth at Fraunhofer IDMT is Wave Field Synthesis (WFS). Through conducting numerous experiments, the institute came up with Spatial Sound Wave (SSW) technology – an object-based system for producing 3D sound. Using SSW, audio content can be produced for reproduction by any audio system and loudspeaker setup. Reprocessing and adaptation of scenes or effects is not required.